Τravolta in Peristeri compensates you for your trek into the suburbs with amazing food. You don’t need to spend a small fortune to enjoy the bounty of the Aegean in Athens. Fish from the Atlantic, with the possible exception of sole and monk fish, are relatively tasteless compared to their cousins from the Mediterranean, and particularly from the Aegean Sea. Although the word terroir is typically associated with wine, the concept of a holistic natural environment that significantly affects the taste of anything produced within it can easily extend to fish. 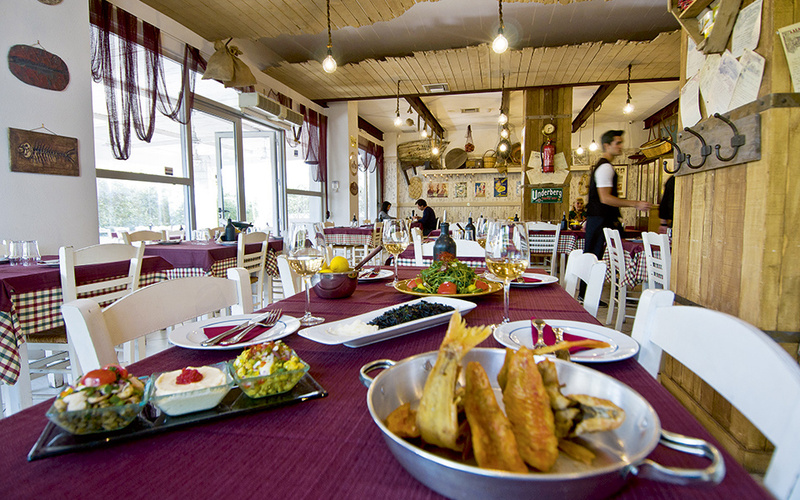 In that sense the “terroir” of the Aegean nurtures especially flavorful crustaceans, fish and shellfish. As such, in Athens you can have good fresh fish without spending a small fortune. We’re not talking about salmon and tuna, which despite their popularity must travel for at least three days from the big ports of Europe. Here you should opt for mullet (red and striped-red), gilt-head bream, white bream, European barracuda and sea bass, common pandora, mussels and oysters, as well as octopus, prolific in the Greek seas in winter (from November to February). Do not underestimate the small, humble fish – they make excellent soups and stews – or the larger, lesser-known varieties such as bogue, bonito or golden grouper, which are quite delicious when properly prepared. The wholesome decor of Ilias, which matches the food. 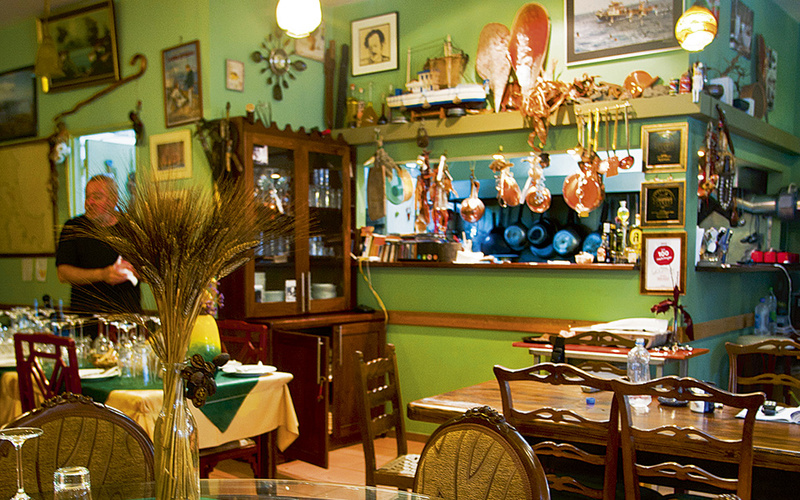 Near the port of Piraeus, Hatzikyriakou Avenue is an excellent spot for simple, good meals. Popular with local families, the tavernas here may be almost devoid of decor and their tables squeezed closely together, but they are still worthwhile – though best avoided on Saturday evening and for Sunday lunch. 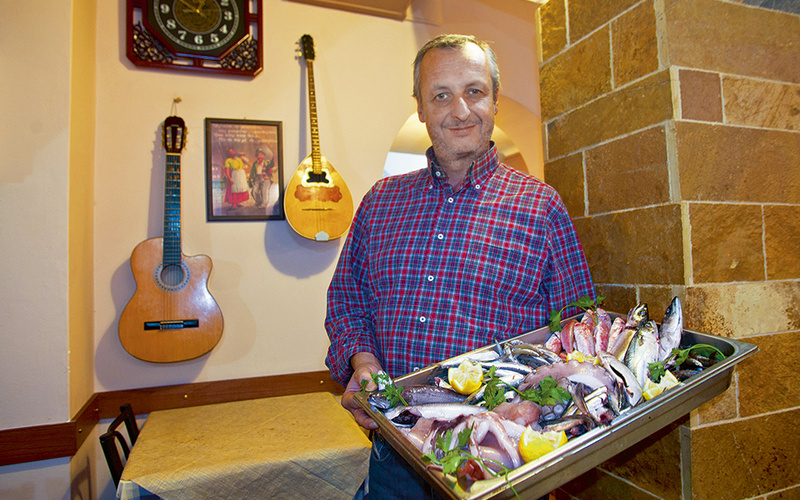 Yiannis serves an excellent fish stew (you need to call in advance to order it), well-grilled fish, pasta with shrimp, raw or cooked shellfish and a medley of meze to go with ouzo. A similar style of cuisine is served nearby at Ilias. The taverna has been taken over by the proprietor’s sons, with one working the grill and the other on service. A meal of salad, steamed mussels and fried langoustine tails will cost about 25 euros per person. Slightly more adventurous dishes – though not so much as to mask the high quality of the ingredients – are prepared at Travolta. Located in the suburb of Peristeri, somewhat off the beaten track, what it lacks in views it makes up for with specials like beautifully grilled skewers of shrimp and calamari served with squid ink and a drizzle of extra virgin olive oil, the simplest yet most appropriate dressing. Other musts are the lightly fried anchovy fillets with beetroot sauce and the gilt-head bream or white grouper served with eggplant puree, a play on hunkar beyendi, a traditional dish from Asia Minor made with veal and eggplant. You should also try the gilt-head bream in its fricassee version (made with seasonal greens and an egg-lemon sauce) or as a tartar. The service is quick and the finish quite voluptuous – a big slab of creamy, syrupy galaktoboureko. Meals cost about 30 euros per person. 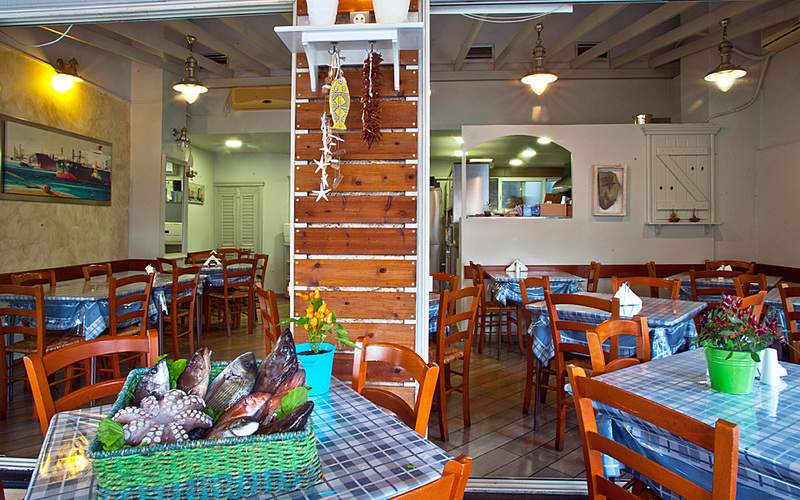 Argoura is the place to head to for those curious about new types of seafood. Closer to the sea and in the spirit of experimentation, Argoura is a contemporary taverna with an energetic owner. When the weather allows it, he serves a plethora of seafood and shellfish, from the most popular – mussels, oysters and clams – to lesser-known kinds like sea figs and date mussels. Fish is prepared in many different ways – as an appetizer, soup, entree or salad – but the high point here are the meze, so you had best go about it Greek-style, ordering plenty of small dishes for the middle of the table, to be enjoyed by all: smoked eel with eggplant cooked on a clay roof tile, European sea bass carpaccio and seafood giouvetsi casserole (with date mussels if you’re lucky). The wine list is quite extensive and the atmosphere lively. The cost comes to about 35 euros per person. To Triantafyllo tis Nostimias is very popular for its meze. In downtown Athens, walking along Lekka Street around lunchtime, your nostrils will be assailed by the aroma of food and you know something’s cooking. Known by its regulars simply as “The Rose,” To Triantafyllo tis Nostimias (The Rose of Deliciousness), is tucked away in a small arcade. It is best to look for a table outside rather than inside the rather stuffy dining room. The menu offers several meat dishes, but as you’ll notice, most people come here for the meze: anchovy and small fry, fava bean paste with chopped onions, fried kefalotyri cheese, boiled wild greens and grilled herb-stuffed sardine fillets are among the many delightful dishes. You need to be patient with the service at rush hour, but you shouldn’t pay more than 20 euros per person, wine, ouzo or tsipouro included.